Gary Numan has announced a string of UK dates for November 2018 with The Skaparis Orchestra, including a date at the Royal Albert Hall, London. Gary Numan has finished Part 2 of his UK Tour to promote his current album ‘Savage: Songs From A Broken World’. The album was released in September last year through BMG and earned the best reviews of Gary’s career. He entered the UK charts at No.2, a fantastic achievement for the iconic and highly influential artist. 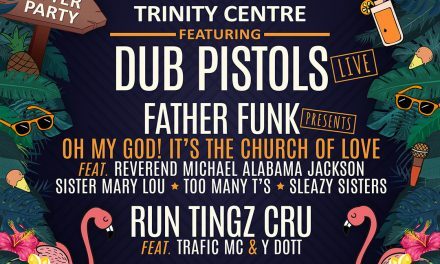 The British electro pioneer was also awarded the Inspiration Award for songwriting and composition at the Ivor Novellos last year and has been receiving outstanding live reviews proving that he is on fine form. Now, the tour will take a surprisingly elegant turn when Gary Numan and his band are joined by The Skaparis Orchestra for 6 exclusive shows. 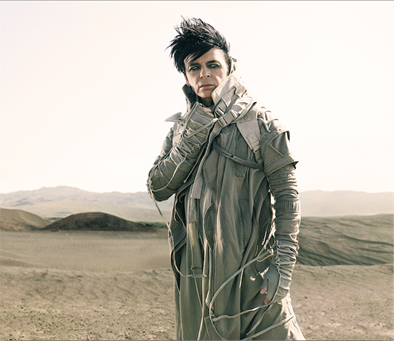 With orchestral concerts taking place in Cardiff, Birmingham, Newcastle, Manchester, London and Glasgow, the shows will feature songs drawn not only from his highly successful ‘Savage’ album, but also key songs from his vast back catalogue. .
As the project took shape, Numan also set up a Pledge Music campaign to create an experience for fans that would let them see how an album was put together, from the first note to the finished shrink wrapped package. It was a strategy that brought Numan closer to his fans, and allowed him to communicate the blood, sweat and tears that goes into making a record. The campaign grew so successful that Numanconsequently secured a record deal with BMG.